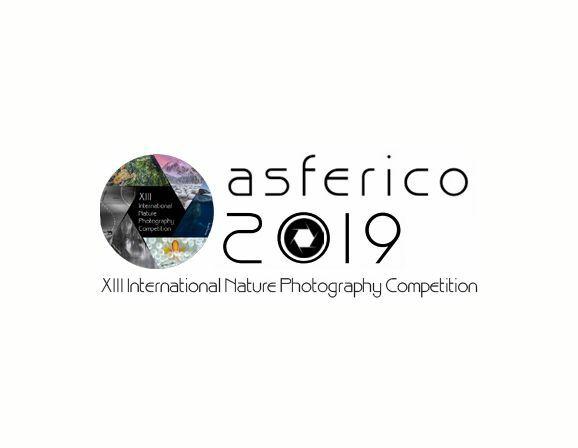 Copyright: AFNI and Asferico, will be entitled to a free use of the winning and selected images, that will eventually be published in the magazine, in the competition catalogue, on websites or in brochures and calendars. Furthermore, photos may be showed in exhibitions related to the competition and whenever the organizers of the competition will deem it necessary. The names of images authorswillalways be mentioned. Entry fee: € 25,00. For the young photographers (aged 17 and under) - free. Each entrant is allowed a total of 30 entries into the Adult Competition. Online submission of digital photographs via the website. Subjects must be photographed in their natural environment. Photos of pets and animals bred in captivity, birds in their nest as well as photos of cultivated plants or landscapes including human elements, will not be accepted.